Featuring the first three letters of Jesus in Greek, as well as a passage from the Gospel of Matthew, the χρι, or the Chi-Rho-iota (fol. 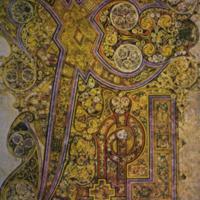 34r) is probably the most famous illumination in The Book of Kells. Other than the lavish design of these three letters, it is the minor decorations that fill the space between the letters that are considered the most visually arresting; such art exemplified the heritage of insular art after St. Augustine of Canterbury’s mission in 597.A.D. 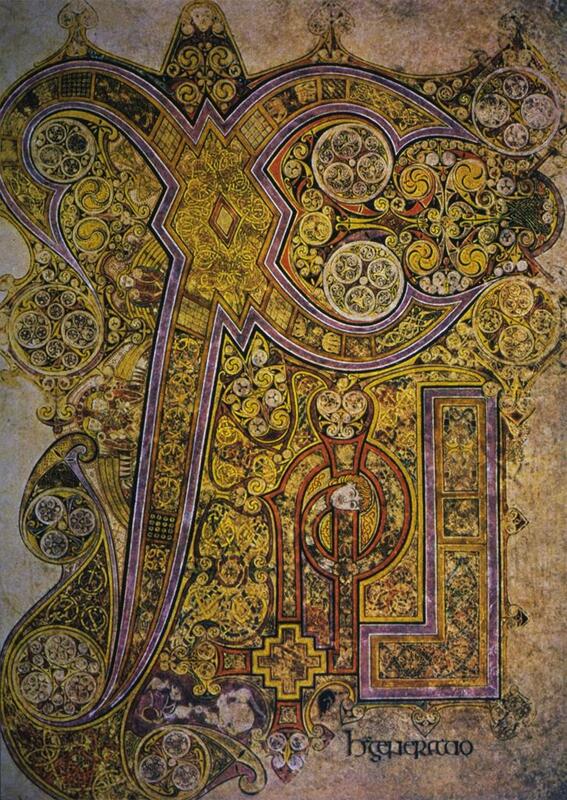 “Chi-Rho-Iota folium, from The Book of Kells (9th century), from DRIS Trinity College Liberary Dublin IE TCD MS 58,” Medieval Hollywood, accessed April 24, 2019, http://medievalhollywood.ace.fordham.edu/items/show/77.